On Friday, in a public Celebration of Life service at the Staples Center in Los Angeles for Nipsey Hussle, family members did the difficult work of honoring the rapper’s life with memories in the form of old photos, home video footage, and eulogies. Nipsey (real name Ermias Asghedom) was shot and killed on March 31 in front of his store in New Hyde Park. His suspected shooter Eric Holder was charged and plead not guilty to the murder. 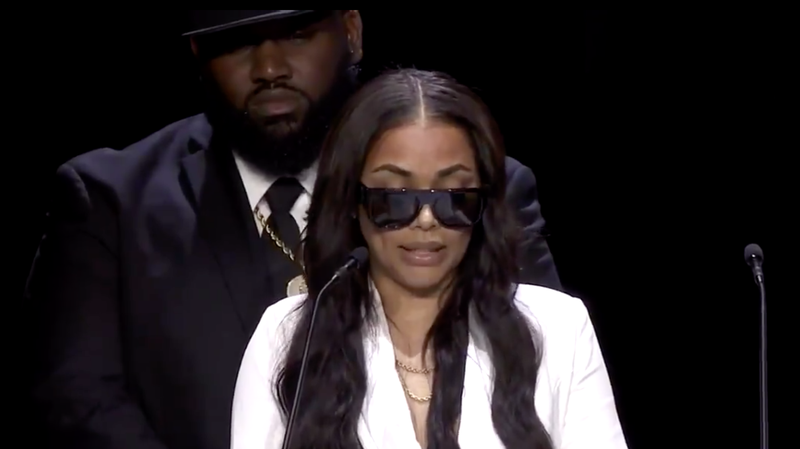 During a live-streamed service, Nipsey’s children stood on stage with his fiancé, actor Lauren London. Cameron Carter, London’s son with Lil Wayne, talked about a dream he had where he says he was in “a paradise” and Nipsey told him what heaven is like. Nipsey’s mom, Angelique Smith, displayed an unfathomable level of composure and talked about being at peace. These type of live-streamed funeral services for public figures have obviously become a norm, but Nipsey’s may be the first of this magnitude for a hip-hop artist in the era of streaming and public grief. Both Barack Obama and Jay-Z offered written messages for the service.